The Abu Garcia Veritas 702SPL Spinning Rod provides balance, compression strength and lightweight design that you're looking for in a softbaiting rod. Abu Garcia's new NanoTechnology manipulates graphite at an atomic level for improved compression strength. Nano particles are bonded to the rod to support and bolster graphite fibres creating a stronger bond and increasing blank strength. 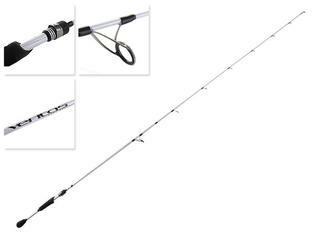 This new technology delivers an extremely strong yet lightweight and balanced rod. 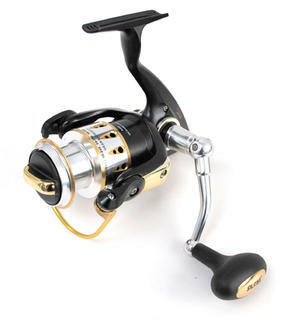 Entry level reel fully capable of meeting your needs The Shimano FX 2500 Spinning Reel is an entry level spin reel ideal for those wanting to try their hand at fishing for the first time. Or you can also use this if you want to get your kids in to a healthy pastime. 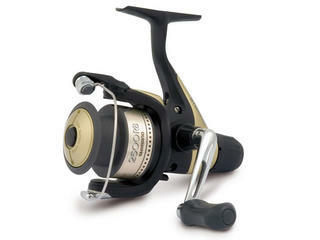 Although it is an entry level reel it is capable of handling most conditions and tasks ask of it. Super Stopper II Super Stopper II anti-reverse uses a one-way bearing that eliminates backplay. This provides the angler with instant hook-setting power. Power Roller This is an oversized line roller that reduces twist from casting and retrieving. It also enhanced with a tapered area on the support to help line get onto the roller quicker. Dyna Balance This feature eliminates wobble during the retrieve by counter balancing the rotor to enhance sensitivity and smoothness. 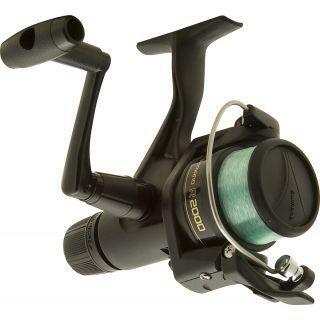 THIS SIMPLE AND AFFORDABLE RANGE OF REELS FROM SHIMANO OFFER EXCELLENT FEATURES THAT, ALTHOUGH STANDARD IN SHIMANO REELS, ARE NOT SO STANDARD AMONG OTHER REELS OF THEIR PRICE POINT. 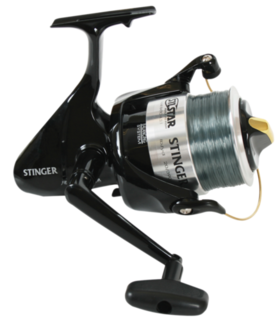 These include Varispeed Oscillation, which help with an even line lay and reduce tangles, and Dyna-Balance, which reduces the amount of wobble in the reel when winding. These simple features make fishing for beginners a much easier process. 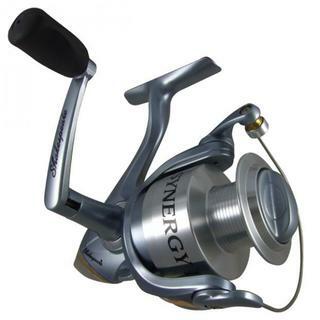 Features - Graphite Spool P3 Power Roller Dyna-Balanced Aerowave Spooled with Line Gear Ratio - 4.4:1 Weight - 230g Bearings - 1 Mono Line Capacity - 6lb - 200yds. 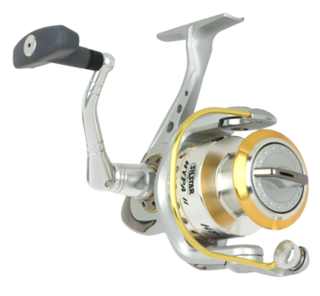 Safina Pro Spinning Reels With advanced styling, a four bearing drive system and multi-disc drag system, Safina Pro spinning reels exceed all expectations at their value-laden price point. Three models in sizes 25, 35 and 50 are ready to go fishing at a moment's notice and land huge smiles along with every catch. The striking red colour of the Catana FC makes an aggressive statement for anglers who want to stand out from the crowd. 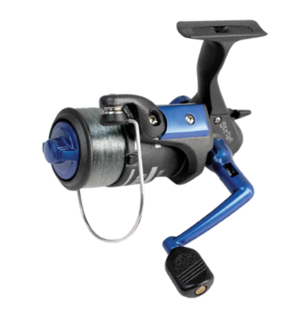 Part of the P4 reel range, the Catana produces smooth performance and offers exceptional value for money. 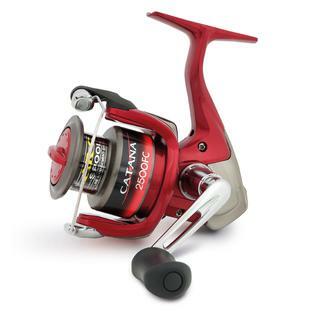 Fitted with 2 shielded stainless steel ball bearings and a roller bearing, with Varispeed line lay and an Aluminium AR-C spool, the Catana is an excellent all round reel for most general fishing situations. 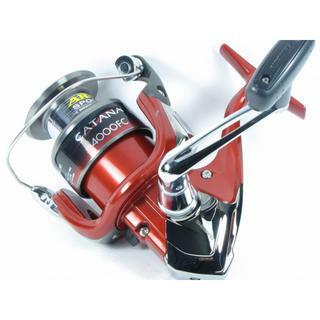 One look at the strong aggressive red Catana tells you this is a reel of quality and excitement. 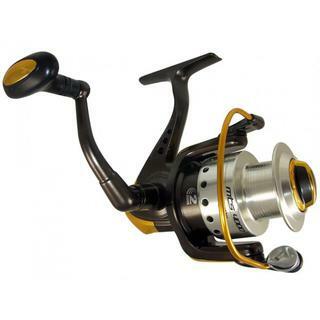 The superb design of the Catana FC features two stainless steel ball bearings and a roller bearing, providing smoothness usually found on much more expensive reels. A strong lightweight aluminium spool comes as standard making the Catana FC ideal for both mono and braided lines. 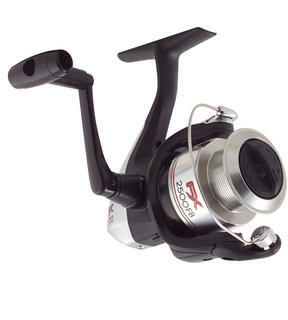 This model is an excellent all round reel that can be used for a wide range of styles and features Dyna-Balance for exceptional smoothness and performance and Super Stopper II for instant hook setting and assured fish-playing. 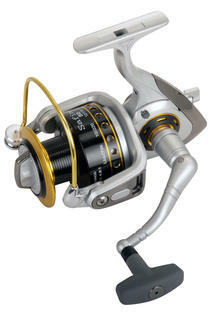 Without doubt the Catana FC is the outstanding reel in its price class. 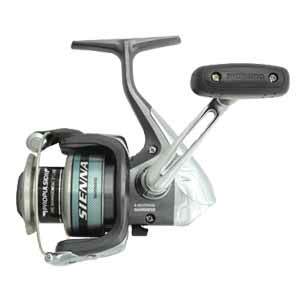 A reel you can use in both saltwater and lakes The Shimano Sienna FD 4000 Spinning Reel features four ball bearings for almost friction-less operation. Plus, the precision gear components are built for on-going reliability. 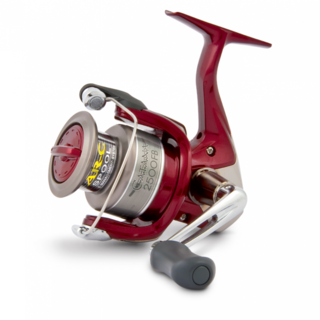 The aluminium, propulsion-equipped spool is precision made and has a multi-washer drag designed so you can handle fast running fish such as Kahawai. Whilst at home being put to task in saltwater environments the Sienna FD also excels on the lakes and rivers around New Zealand accounting for many trophy sized Trout and Salmon. 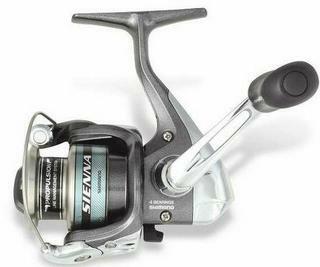 The Shimano Sienna 2500 FD Spinning Reel features four ball bearings for almost frictionless operation and the precision gear components are built for on going reliability. The aluminium, Propulsion equipped spool is precision made and has a multi-washer drag designed to handle fast running fish such as kahawai. 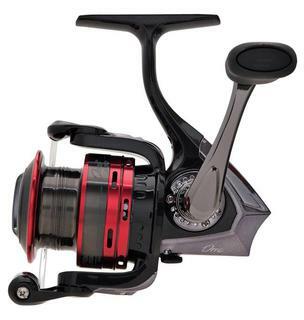 Feature-packed reel Whilst at home being put to task in saltwater environments the Sienna FD series also excels on the lakes and rivers around New Zealand accounting for many trophy sized trout and salmon. 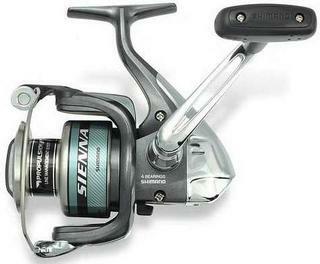 Each model features the Shimano Dyna-Balance system that eliminates rotor wobble when winding. Super Stopper II anti-reverse provides instant hook-sets, and the oversized Power Roller line roller assists the Varispeed oscillation to produce a perfect line lay.